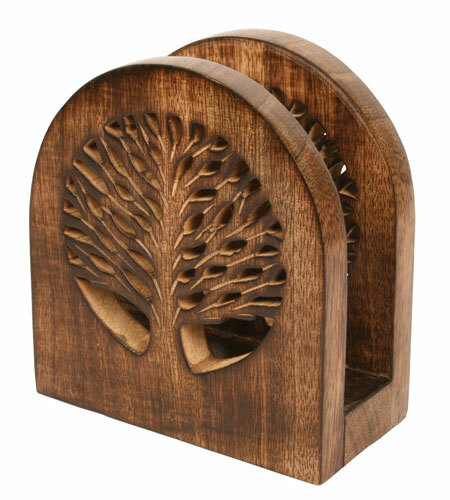 Mango wood letter/envelope holder with carved cut-out tree of life design on either side. 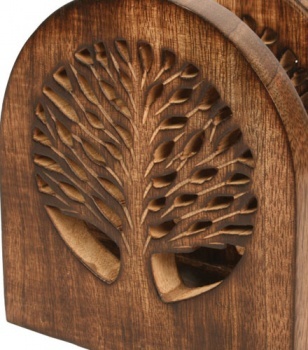 Mango wood is a fast growing wood and therefore a sustainable material. 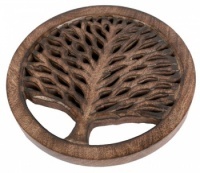 It takes approximately 7 to 10 years to grow which is much less than comparable hard woods.